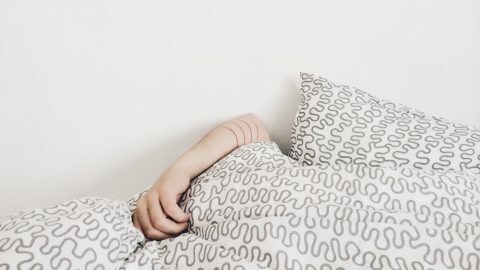 Your pillow’s job is to fill the space between your head and your mattress while keeping your body in what’s called a “neutral sleeping position.” When your body is positioned in a neutral sleeping position, all the bits and pieces in your back are kept in in their ideal positions, preventing unnecessary pressure on your discs, muscles and nerves. 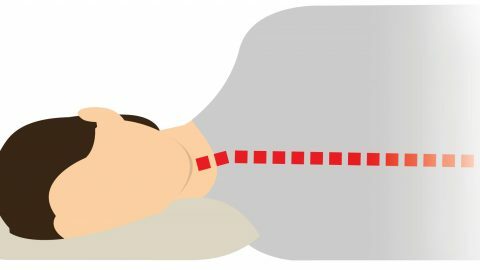 Your neck and back are generally best off when positioned in a straight line, parallel to your mattress, without any upward or downward bends. Stay neutrally aligned and you’ll avoid discomfort (or worse). The wrong pillow can cause neck, shoulder or back pain. Side sleepers will be most comfortable on a firm or extra-firm pillow. Softer pillow types like down tend to collapse under the weight of your head during the night. This loss of support will cause your head and neck to bend downwards, resulting in unnecessary strains that can lead to neck or back pain. Additionally, side sleepers are advised to use a high loft (thick) pillow. This is simply because there is more space to fill between your head and the mattress when on your side than when on your back or stomach. No single pillow type works for all side sleepers. Fortunately we have lots of choices… a few too confusing many perhaps! Many different types can provide the comfort you need as long as they’re relatively firm and thick. provide enough loft (height) to keep your spine straight. However, it isn’t so thick that it bends your neck upwards out of alignment. provide consistent and even support throughout the night. The fill does not slowly collapse on itself under the weight of your head. It conforms to your head and neck without uncomfortable pressure points. stay cool. Many pillow filling types like memory foam absorb and retain body heat making them uncomfortably warm. Breathable pillow filling types like shredded foams, buckwheat or millet hulls go a long way to to keep you comfortably cool all night long. be comfortable. Ultimately, it’s best to trust your instincts. If a particular pillow works well for you, stick with it. Some pillows are adjustable and allow fill to be added or removed from a zippered case. 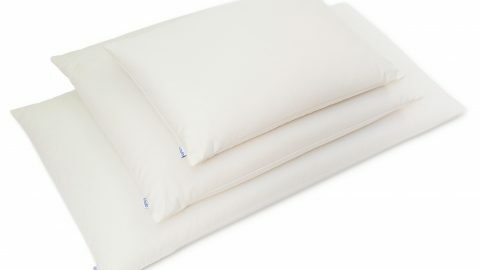 Adjustable types are most often filled with buckwheat hulls or similar materials that are easily removed or added to a pillow’s case (this won’t work with most latex or down pillows). If you’ve decided on an adjustable pillow, you’ll be able to dial in the loft (thickness) exactly to your preference. With non-adjustable types you’ll need to be a little more discerning in your purchase to be sure you’ve got the proper loft to suit your preferences. Squeezing a pillow inside plastic packaging at the store isn’t the way to find your ideal pillow. You really need to test drive them in your own bed. There is no substitute for literally sleeping on it. A side sleeper needs a firm pillow with enough loft to support their neck and head while keeping their body in a straight, neutral sleeping position. Above all, your side sleeper pillow should keep you comfortable and cool – trust your instincts! Experiment with different pillow types and find what works for you. Have you ever tried a buckwheat pillow? Try Hullo risk-free for 60 nights.